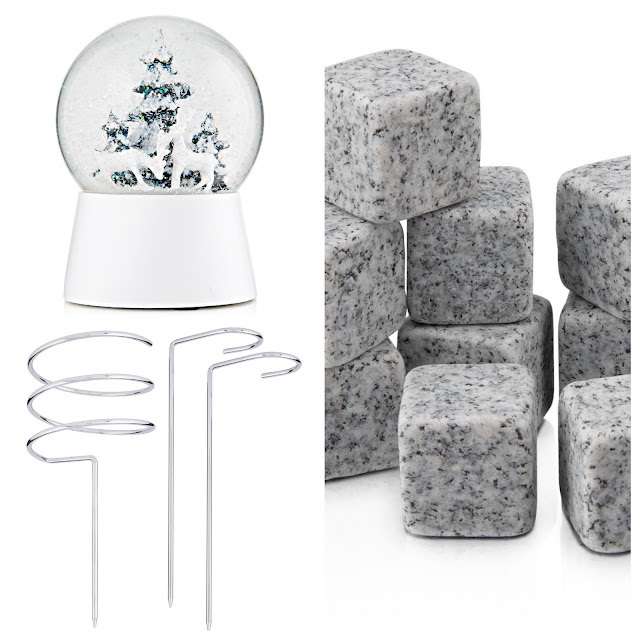 Even though I recently started to join two months of my monthly favourites together it still seems to come around so quickly and it's time to write my last post of the year, so here are some of my "faves" from November and December. Again the French skincare brand Avène didn't disappoint me with their Physiolift Precision Wrinkle Filler. Despite its awkward application method I really enjoyed the results of this targeted wrinkle treatment. It simply worked and what more can you ask for than a product that does what it claims to do. So if you are concerned about any deepening lines or furrows then this is a product worth looking more into, as it's both well priced and more importantly effective. I have read so many terrible reports about liquid lipsticks that it made me quite hesitant to try, but after much research I hit the "Liquid Lipstick Jackpot" with this one from stila. I stumbled across this Shea body Mist from The Body Shop back in October and only review it in November and its been my daily "go to" fragrance since then. Garnier really are the tops when it comes to Micellar Waters and cleansing facial wipes and I fell in love with these Oil-Infused wipes that made easy work of removing all make-up. Now I'm not one to get too excited about LUSH, as some products have been expensively disappointing whilst others I have eagerly given a thumbs up. I didn't intentionally go out to buy festive goodies from LUSH, but once I was in their store at Gateway I soon filled a basket of Christmas bath bombs, bubble bars and other tempting goodies with names like Peeping Santa, The Christmas Penguin, Ruby Red Slippers and the Magic of Christmas to name just a few. I then spotted a huge pyramid of Snow Fairy Shower Gels and I decided to see for myself what all the Snow Fairy hype was about, so I opted for the small 100ml bottle and not the 500ml size,which I now regret, yes after my initial scepticism of the Snow Fairy Shower Gel...I'm hooked. The actual performance of this shimmering pink shower gel itself doesn't stand out above any other shower gels that I've tried, but it's the fragrance that I and obviuosly many others have fallen in love with. It's an intense sweet bubblegum, candyfloss type of fragrance that lingers on the body long after you've come out of the shower. 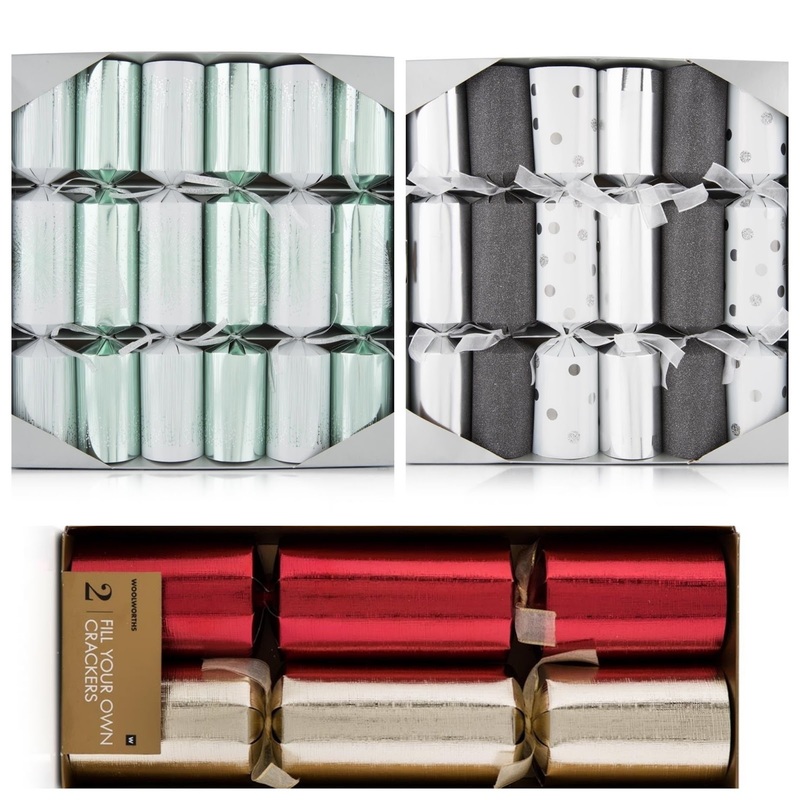 It can be used as a foam bath and it just fills the bathroom with a pleasing, feel good aroma. If you're not a lover of sweet scents then I doubt you will enjoy it, but I for one will be excitedly waiting for those glistening bottles of Snow Fairy Shower Gel to make its annual appearance on the LUSH shelves towards the end of 2017. Let me cut to the chase and get straight to the point with this product review, when it comes to affordable Micellar Waters or Cleansing Wipes GARNIER are without a doubt the best on the market. Whether you buy a micellar water or a pack of cleansing wipes they won't disappoint. I was eager to try their Skin Active Micellar Oil-Infused Cleansing Wipes for dry & sensitive skin.Whilst I don't use cleansing wipes everyday I do find them so handy for travelling or on those occasions when you need to do a really good double cleanse. GARNIER Micellar Oil-Infused Cleansing Wipes are soaked with Micellar water which miraculously seems to captures impurities just like a magnet and combined with the oils the wipe instantly dissolves all types of make-up, whether it be on your face, eyes or lips. It even makes light of waterproof make-up leaving the skin feeling well cleansed and more importantly soothed and hydrated. Don't be put off by the inclusion of Oils, as these wipes leave your skin feeling non greasy. I also like that all GARNIER wipes are thick yet feel soft on the skin and are Dermatologically and Opthalmologically tested. GARNIER products are available countrywide from Clicks and Dischems countrywide. With just over a week to go before Christmas I can feel my purse, credit cards and feet already showing signs of suffering and I still have so much to do and buy. 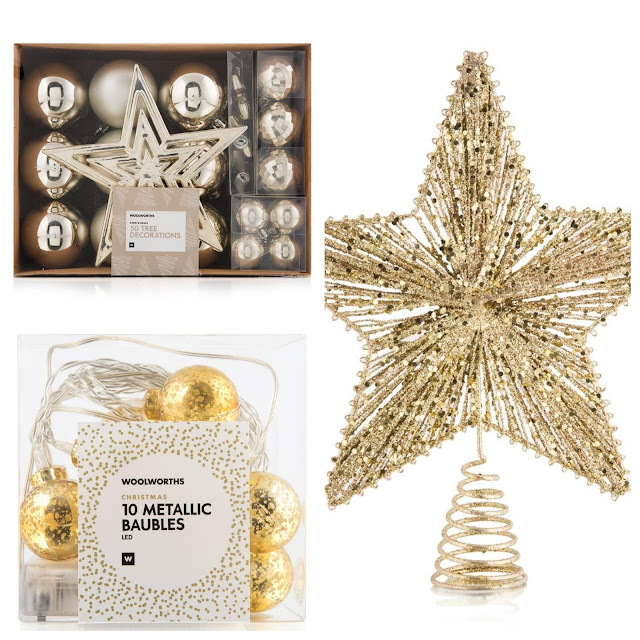 I noticed that Woolworths have an excellent discount running from the 13th December (until stocks last) which gives you an instant 40% off on certain decor and gifting items and an extra 5% off if you are a WREWARDS member. This could give you a massive 45% off. 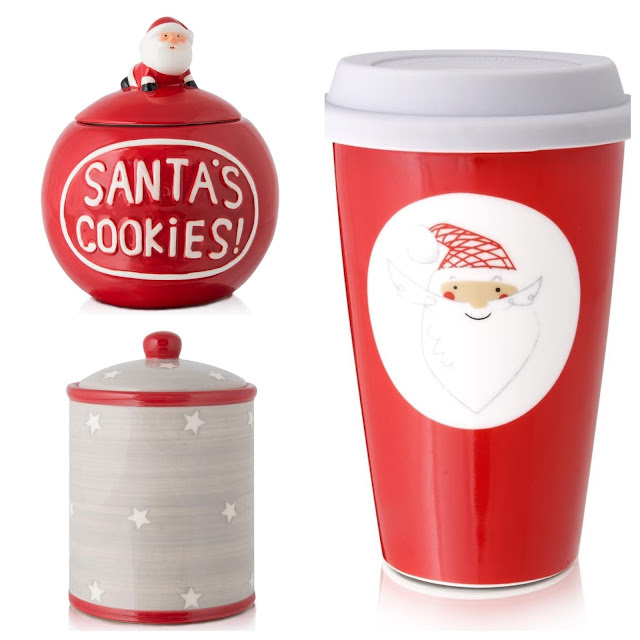 There is actually quite a good selection of Christmas Decorations, lights and crackers along with gifting items. 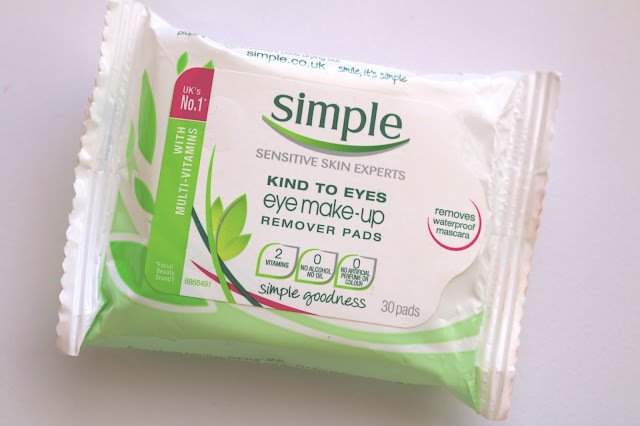 On my recent travels to the UK I picked up a packet of these super affordable simple Eye Make-up Remover pads from Boots and its not a range that I'm too familiar with or have ever used. simple is a leading brand for sensitive skin in the UK and is part of the consumer goods company Unilever UK Ltd.The simple range includes cleansers, moisturizers, eye care, and wipes. This product forms part of a range called Kind to Eyes, which simple claim will help to keep the skin around your eyes healthy, hydrated, plump and youthful-looking and for anyone that has sensitive eyes you will already know the challenges that using eye products can pose. They are also Dermatologically Tested and Approved, Hypoallergenic, Ophthalmologist Tested and Paraben free. The large soft round Eye Make-up Remover pad is well moistened with the removing lotion and is free from any fragrance, which I actually prefer even though I don't have sensitive skin around the eye area. One pad was plenty to easily remove make-up from both my eyes with a flip over of the pad when moving from one eye to the other. I was very impressed with the removal ability of these pads, especially for the budget price. Wipes for both the face and eyes are becoming increasingly popular as they are so handy for quickness,ease and perfect for travel. However it does irritate me somewhat that often the wipes have dried out before you finish the pack, due to the resealable lift flap losing its sealing ability. Again I was pleasantly surprised that due to the pads containing no oil and having a large sticky flap area, that for once they stayed moist till the last one, a first for me with my previous experiences of wipes, that always seem to annoyingly dry out even though I take care to reseal correctly. 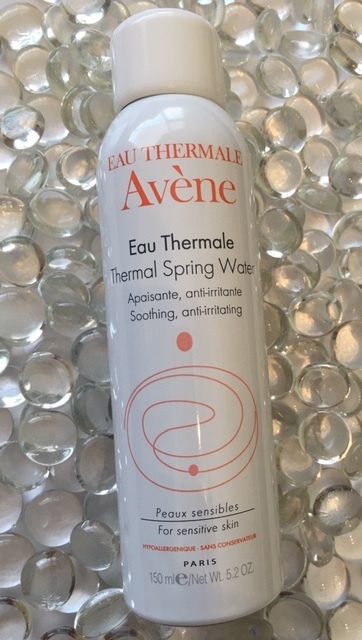 Thermal Spring Water Spray from the French brand Avène. This lovely video introduces you to the Avène story. 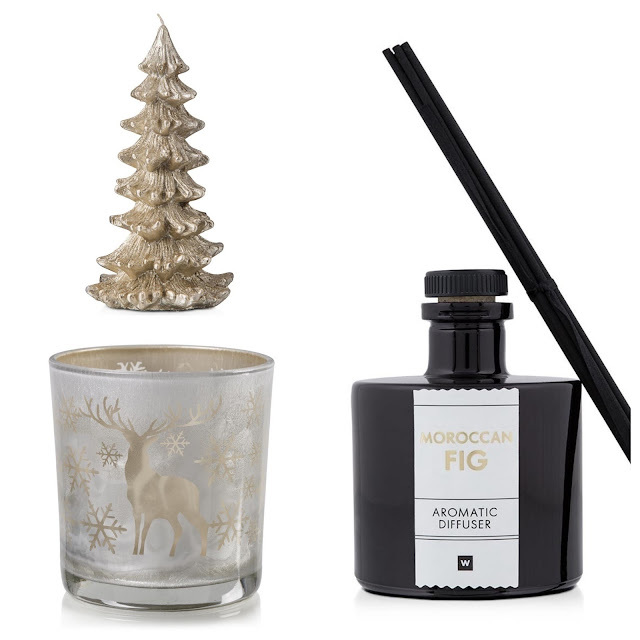 10 seconds, which just goes to prove how loved this product is around the world. Natural Spring Water sprays for use on the skin are by no means a new discovery and overseas you will find a larger selection available, unlike South Africa, which actually amazes me as this type of product suits our climate and lifestyle perfectly. It not only hydrates, soothes and comforts the skin, but it cools and refreshes, especially if you keep the spray in the fridge. Great to calm the skin and reduce redness and it can be a great asset for use after facial surgery, shaving, waxing, sunburn and can even be safely used on nappy rash. My spray has been reached for on so many occassions during the holidays, as I just love to spritz my face during the hot days and this anti-irritating product won't interfere with my SPF or disturb my make-up. I have even got into the habit of doing a quick spritz post make-up. Many years ago when I was training to be a beauty therapist in the UK we were encouraged to have weekend jobs in salons. I worked for a couple of years in a busy salon that also had a sunbed. In the beginning my job was to clean down the sunbed, straighten the cubicle and explain to the clients the do's and don'ts and set the timer for their session to begin. This was my first introduction to Clarins and Evian and my first chance to sell...and guess what I was really good at it, selling the smaller Evians' for handbag and home use and the Clarins Body Lotion for maintaining that tan, it was for me an easy "add on" to the clients sunbed course, as they were both wonderful beneficial products. Evian is just one of the many brands of natural facial water sprays available overseas and as you can see even 30 years ago these types of facial sprays formed part of a good skincare routine for many in the UK and Europe, but unfortunately not here in South Africa hence the limited selection available. Avène Thermal Spring Water Spray! I will also be reviewing three more Avène skincare products in the near future. Over the past couple of years I have become a huge fan of Micellar waters and there are now plenty on the market to choose from. To read my previous reviews on Micellar Waters proceed to the pink links at the bottom of this page. Being someone that wears full make-up on most days I really enjoy being able to use a Micellar water or lotion as part of my double cleanse. My normal evening routine is to use a make-up removing cleansing milk first, followed by a no rinse Micellar water on cotton wool. In the morning I often just use a Micellar water to do a quick cleanse. Call me old fashioned, but I still prefer to use a specially formulated eye make-up remover to remove my eye make-up and mascara, but Micellar waters are great again to just whisk over the eye area to ensure that there are no remnants of make-up left behind and to provide a clean eye area before applying an eye treatment. Another handy use of a Micellar water is to remove lipstick and cleanse the lip area, and they are a convenient multi tasking product to take on your travels, so in my opinion a Micellar water is a "must have" in your skincare regime. 1.Micellar cleansing agents capture the impurities and even remove waterproof make-up. 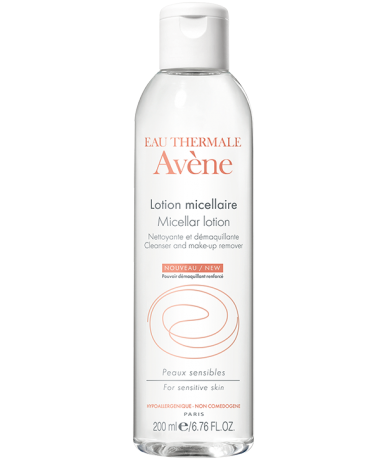 2.The naturally soothing properties of Avène Thermal Spring Water and the gentle emollient action from the cleansing agents both respect the hydrolipidic film and leave the skin feeling soft and hydrated. I recently put this Micellar Lotion through its paces in the polluted atmosphere of London and whilst it was pleasant to use and very effective at cleansing, I personally feel that this product category is swamped with many good and more affordable Micellar Waters. 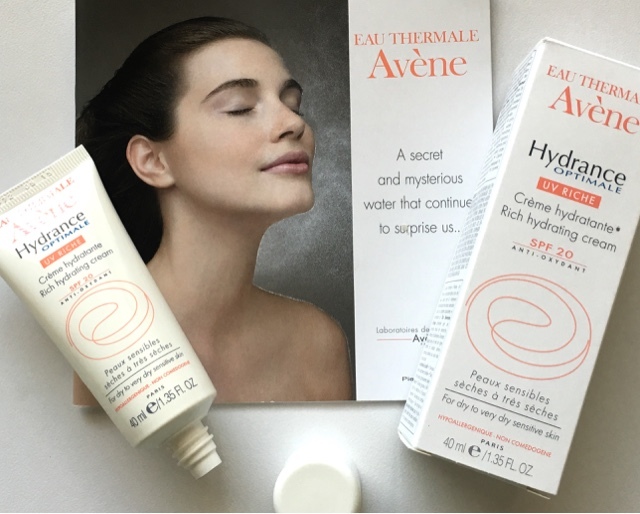 However that being said if you are a loyal Avène user or have a compromised sensitive skin then this is not only a product but a range to seriously consider. America’s leading lip care range Blistex. Since 1947 this family owned and run business have produced a long line of effective, high quality and innovative products. In short Blistex are the worlds fundis on lip care products. The star of this premium lip care range is most certainly the iconic DCT Daily Conditioning Treatment, which I was also sent and will be reviewing in the upcoming weeks. I decided to put the Ultra-Rich Hydration Lip Balm through its paces whilst I was in a very cold UK recently, which may seem a little strange as this lip balm contains an SPF 15 but my aim wasn't to test the efficiency of the sun protection, as I can do that back in South Africa, but rather the nourishing and comfort aspect that the balm gave to my cold weather exposed lips. 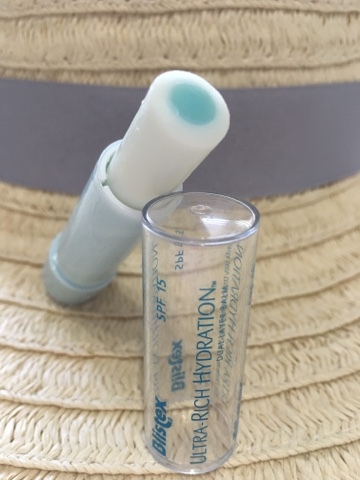 The newly released Blistex Ultra-Rich Hydration is a dual-layer balm with two advanced formulas developed to work together for healthier, conditioned lips. The Blue Inner Core: Rich moisturizer content (over 80%) contains shea and cocoa butter, olive oil and jojoba for uniquely luxurious moisturization. Whenever I go overseas, especially to the UK and it really doesn't matter what time of the year, my lips go into a little "lip spin" and it starts on the plane and as you know everything just dehydrates, so lip balm is applied pretty much constantly till my return to SA. I give this lip balm a big thumbs up, as my lips stayed perfectly moisturised thanks to the rich moisturising ingredients in the blue inner core. As for the balms performance in SA with regards to sun protection - It gets a double thumbs up from me, as I have suffered in the past from burnt lips whilst out doing sport and its not pleasant. The outer layer of the lip is thin, so in their natural state lips are not adequately shielded from the sun. In fact, lips have almost no melanin, the natural pigment in skin that helps screen out the sun's harmful rays. 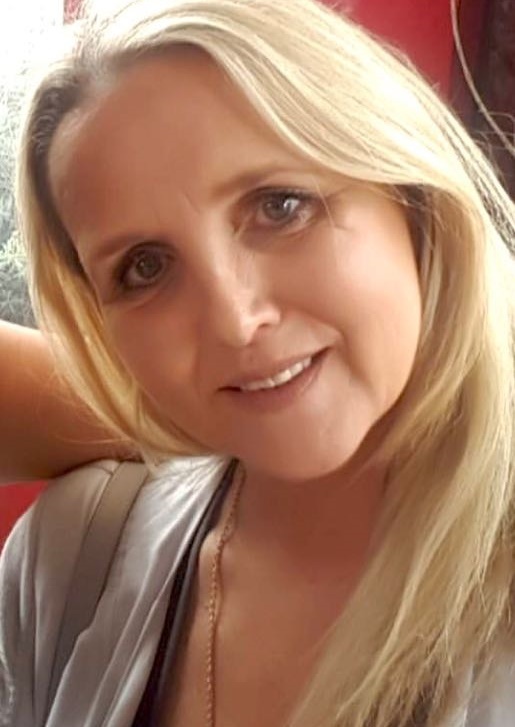 As a result, lips rarely tan, but they can easily burn, so living here in South Africa its a "no brainer", as your lip balm has to contain an SPF. Fortunately for us there are many of the products in the Blistex range that contain sunscreens and are available from Clicks or Dischems countrywide. It's that time of the month where I let you guys know what is currently under review. Watch out for my full reviews of these beauty products that I will be trying out during the next few weeks. the Masque Crème Fraîche to the test during December and you can be sure that I will report back to you as to whether this mask did soothe and rehydrate my skin. 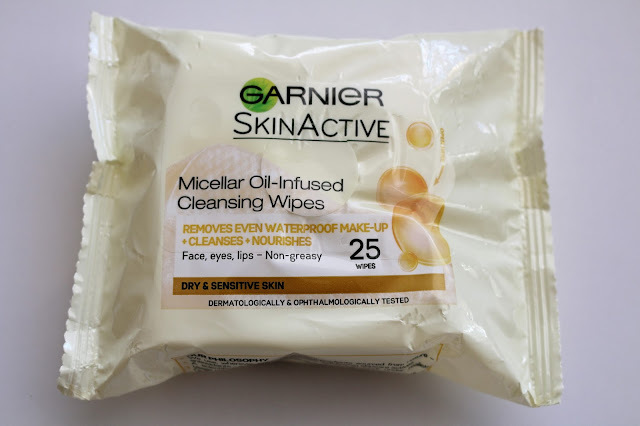 Now these Garnier Micelar Oil-Infused Cleansing Wipes are available in South Africa and being a lover of their Micelar Water I'm excited to try these Cleansing Wipes.